Barksdale是一家通过ISO 9001认证的工业应用控制类产品制造商，公司专攻流体控制与检测领域。作为位于美国康乃迪克洲斯坦福市Crane Co.的一个子公司，我们在拥有大型公司所具备的财力资源的同时，又能够保持这个规模的公司所特有的合伙企业的灵活性。Barksdale 1949年成立于美国加利福尼亚州洛杉矶市，在德国Reichelsheim拥有生产工厂，经销商遍布全世界。Barksdale? is an ISO 9001:2015 registered manufacturer of controls for industrial applications, specializing in the control and measurement of fluids. Barksdale is also IATF 16949:2016 certified for the automotive industry and ISO 14001:2015 certified for effective environmental management systems (EMS). As a subsidiary of Crane Co., Stamford, CT, we have the financial resources of a large company, while our size allows individual customer partnerships. Founded in 1949, we are based in Los Angeles, CA, have a manufacturing facility in Reichelsheim, Germany and distributors around the world. 除立足于标准产品系列外，让Barksdale更引以为傲的是我们能够根据客户的特殊要求为他们提供经过特殊设计或调整的产品以满足其特定需求。我们可为绝大多数Barksdale产品提供特殊设计及调整选项，使得客户在使用标准部件的同时能够通过定制来满足其特定应用要求。如果客户的要求超出了常规选项，工程师也随时准备协助客户采用新技术满足其的特定应用要求。在过去60多年里，许许多多用户的工程师和巴士德工程师合作开发出满足其特定要求的控制元器件。所以如果您面临困难，抑或面临一个非常困难问题，您可以随时和就近的Barksdale员工或经销商联系。With a standard product line as the base, Barksdale prides itself in supplying specially designed or adapted products to meet customers' specific requirements. 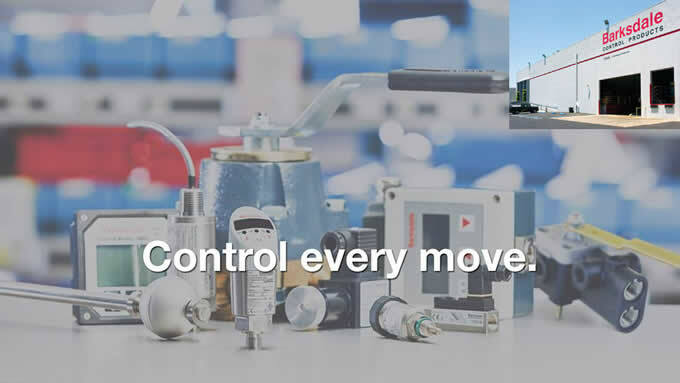 A wide range of optional modifications are offered on most of Barksdale's products, allowing you to customize the products to meet your specific application while using standard components. If, however, your requirements go beyond the available modification options, Barksdale's engineers are ready to assist, even if your application requires new technologies. For nearly seventy years, customers by the hundreds have turned to Barksdale's engineers for custom designed components. The next time you are faced with a difficult, or even an "impossible" problem, call the Barksdale distributor nearest you. 在全世界范围内，无论是在钢厂、机床、汽车生产线、发电及配电设施、化学处理厂、纸浆和造纸厂、纺织厂、游乐园、食品加工厂、海底钻探、石油和天然气田、救生设备、各种形式的路上以及越野型的运输设备上都可发现Barksdale部件。 基本上各行各业都在使用各种类型的Barksdale产品系列。例如，在移动和固定液压系统中：从机床中的液压夹紧、公路装载机之外的液压转向系统或起重机支撑支柱上的负载监控到垂直货物升降机和电梯。各行各业都在使用各种类型的Barksdale产品系列。几乎在每个行业中，都可以看到Barksdale产品忙碌的身影 ，在全世界的每个角落，Barksdale的产品都在为建设一个更美好的明天而贡献着一份自己的力量！Throughout the world, Barksdale solutions can be found in steel mills, on machine tools, in auto plants, in power generation and distribution facilities, in chemical processing plants, in pulp and paper mills, textile mills, amusement parks, and food processing plants, on offshore drilling rigs, in oil and natural gas fields, rescue equipment, and on many forms of transportation equipment, both on- and off-road. Many industries use a variety of Barksdale's product lines. E.g. in mobile- and stationary hydraulic systems: from hydraulic clamping in machine tooling, hydraulic steering systems off highway loaders or load monitoring on crane support struts to vertical cargo lifts and elevators. In almost every industry, Barksdale products are at work, helping to build a better tomorrow. 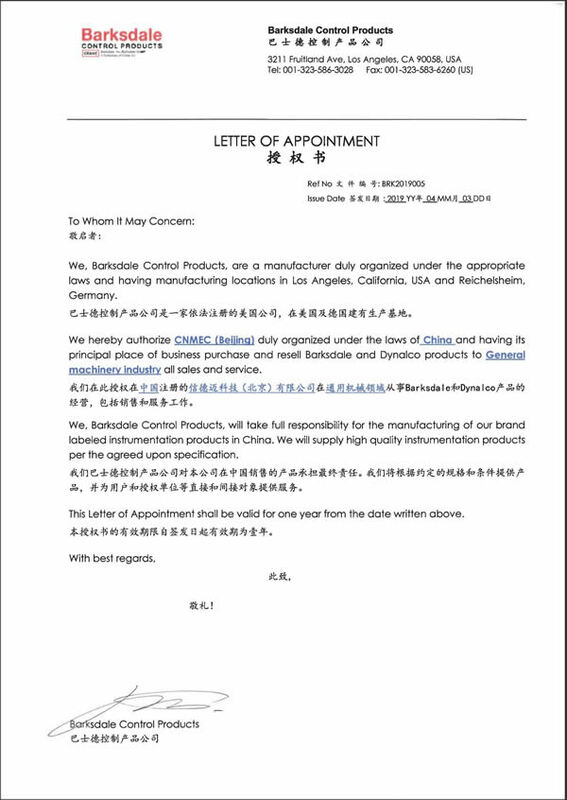 信德迈科技(北京)有限公司 CNMEC Technology (Beijing) Co., Ltd.